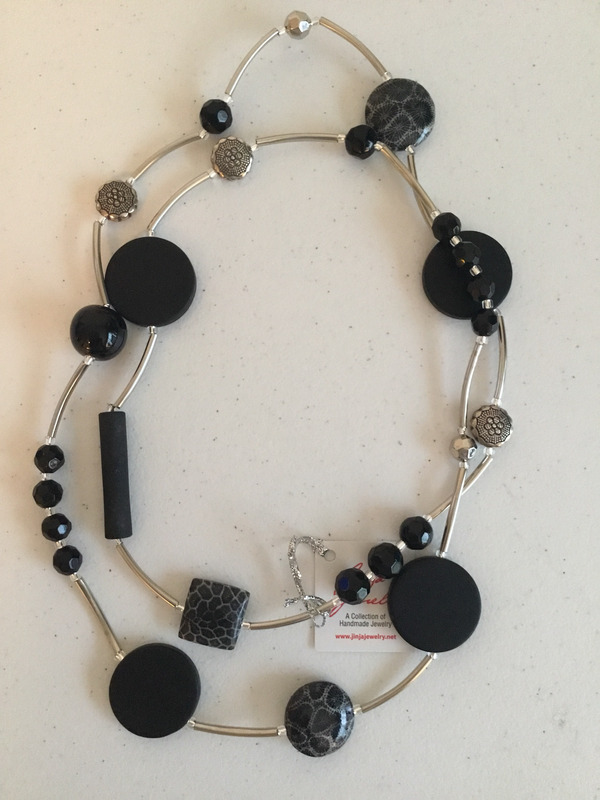 Deigned with black coral handmade beads, and stainless steel, this long necklace can be worn in more than one way. Doubled twice around the neck, or hanging low with a chic attitude, you'll find that this design can be used for almost any style. The black hues can either top off an elegant outfit, or balance a vibrant scheme of colors. Jinja Jewelry crafts all of their coral beads and designs by hand. Recycled from the beaches of Java, Indonesia, each bead is carved, dyed, and polished before used in any of our showpieces. We do not take the coral from the reefs. We are friends to the sea. All of our corals are hand-collected from the beaches after breaking and washing ashore. Handcrafted by the careful, loving hands of Jinja Jewelry's talented artisans.